I watched a movie last night on Hulu called "Altergeist". I know there have been arguments on AVS that Hulu only does 720p but this indeed has the crispness, detail and look of any SuperHD 1080p presentation on Netflix. I'm thinking this might particularly be a Shield thing so it might not appear that way on other devices. Hulu also fixed a bug after I alerted them that the movie genre listings were showing TV shows not movies. This was only on the Shield. However this movie which I put in my queue was listed like a TV series selecting details so there are still some bugs. How is bitstreaming now supported on the shield? Which native player on the shield can be used to bitstream HD audio? 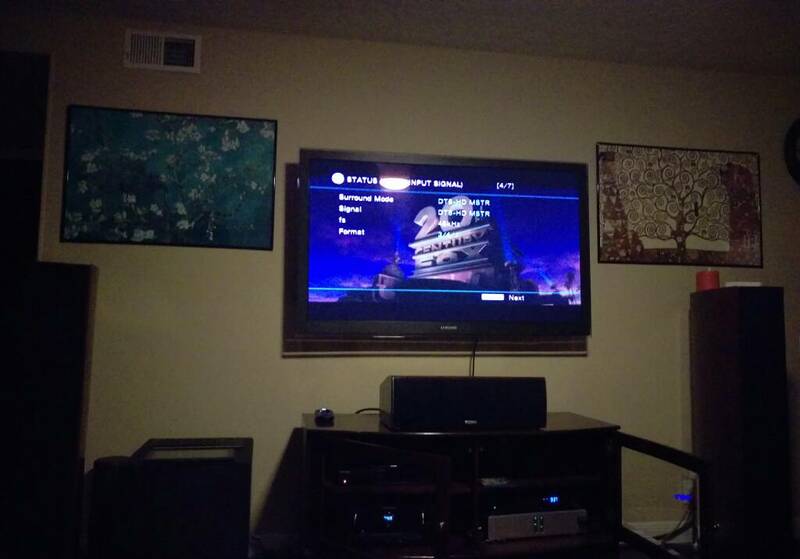 Got a new 4k setup with the Nvidia Shield connected to a new Yamaha RX-A850 and projected on a Sony 4K VW350ES. Last I checked everything was HDCP 2.2 (Nvidia is on HDMI Port 3). 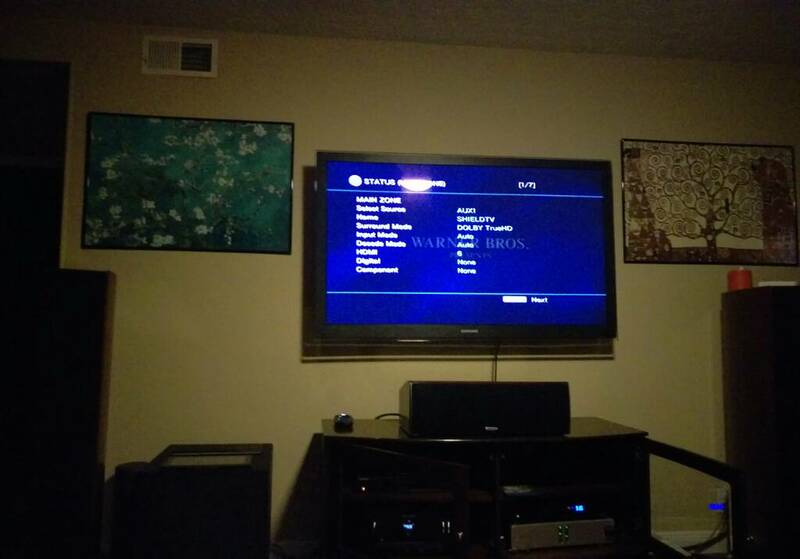 Upgraded Netflix account to the UHD plan, and booted the system up last night....then nothing was getting a UHD tag. "House of Cards" Nope, "Daredevil" Nope. Did I do something wrong here? I do have my computer connected to the Yamaha as well (HDMI 1), but that shouldn't be a problem right, or does the full circuit HDCP 2.2 requirement also magically works upstream too? I've got MKV rips on two different PCs both with serviio servers. Ignioring the inbuilt plex app, which won't pass through hd audio, how do I access the films? The inbuilt player just says zero images and videos and can't see the servers on its own. I don't want to be bothered with kodi, which I believe also doesn't pass through hd at the moment. I'm pretty sure the built-in player will only display media that is stored on the internal storage or USB storage. Mx Player can be installed and used to watch videos that are on SMB or NFS shares. Yes thanks thought so. For what is billed as a streamer you can't exactly call it simple and functional. VLC is available for the Shield (or Android TV in general) and it will play about anything at least on a USB stick including MKV. You might try seeing if it will stream from Serviio. I did. It could see the folders but said no content inside them all. I keep seeing persistent claims on various forums that the "MX Player" can, but I'm not having much luck, personally. There's an app in the Google Play Store called (something like) ES File Browser. I found it unnecessarily difficult to navigate around in... and a bit more challenging than various tutorials claimed to have it discover my LAN media. But it did work (eventually). And if you stick with it, the learning curve for how to navigate around within it can be mastered (or at least tamed). Once inside ES File Browser, and after having successfully "discovered" your network media... if you can click around and finally get your cursor over top of the MKV file you want to stream, you'll be given the choice of a number of available "internal" players with which to play the file (many of which you need to first download from the Google Play Store as well, such as VLC, MX, Archos, etc). As I indicated above, a Plex/Kodi update taking advantage of the new HD audio passthrough would be a major win for this thing... and would allow this device to fully replace my limping/dying WDTV. I'm an Amazon Prime subscriber, but I don't use their Instant Video service much. I know that'll continue to be a big deal for some. Plex+Netflix+Google Cast checks just about every box that matters to me... with LiveTV/CableCard functionality a big added bonus that I hadn't anticpated, but will embrace with open arms (if SD is successful). Thanks for all the suggestions and with a bit of playing around and experimentation I could probably get it to bitstream an Atmos track to my receiver. But I haven't got the patience and together my bluray player, FireTV and WDTV will continue to serve my local and service streaming needs. This is going back to Amazon but might try again in six months or a year when it matures. So has anyone tried out streaming PC games to the Shield? I'm debating between this and the Steam Link for PC game streaming - I'll be using a wired network and I was just wondering how owners are finding streaming on the shield as there seem to be few reviews that touch on this and none that I've found with any depth. Also, if you connect an XBOX 360 controller to it does it support force feedback? In addition, does anyone know of a list of compatible Android apps and games that can be directly downloaded from the Google Play Store? The game streaming from PC works very well. I use it over a wireless AC network and have no issues with lag. I haven't used my 360 controller with it as I have a wired one and don't want to deal with cords in the living room. It should work just fine though as the SATV recognized my wireless keyboard right away. The included wireless controller has force feedback so I see no reason why a 360 controller wouldn't. Thanks for the feedback - it was my understanding (based on a review I read) that the included controller does not have force feedback - happy to hear that was incorrect. I have very little doubt that both of these apps will update at some point to take advantage of this functionality... but I also have no idea when that'll be. I have no idea when those apps will update, but the internal player and MX player both do pass-through right now. I use ES File Explorer to select the files from my media server. I've been using ES for years so I don't find it as difficult to use as others. If you have your media on a locally attached drive or SD card MX should recognize the files and pull them up in its own interface. You need to install a codec pack to restore multi-channel audio to MxPlayer. Copy it to a USB drive, stick it in the back of the Shield, copy it over to a local folder, and then point MX Player towards it? Simple as that? I didn't have to install the codec pack, it just worked with pass-through to my AVR. I will double check again tonight and report back. If you could confirm that the files you are successfully playing back in MX Player are 1080p uncompressed .mkv Blu-Ray RIPs (made using MakeMKV or something similar) containing a Dolby TrueHD or DTS-HD-MA audio codec, and if so, sharing the settings you are using within MX Player to get such a file to successfully bitstream to your AVR, that would be GREATLY appreciated....!!! My question is, is there any work around to owning a receiver without HDCP 2.2? My guess is, I can plug the Nvidia shield into the tv and play 4k video just fine. But by doing this, I would lose out on the DTS HD-MA Audio. Could I potentially have the HDMI out from the Nvidia shield running to the TV, but have the audio run to my receiver using something like this: http://www.amazon.com/HiFiMeDIY-Digi.../dp/B00AOH5JTQ, and get DTS HD-MA audio also? If it is a lost cause, does anyone have recommendations on a cheap HDCP 2.2 receiver? Thanks for any tips! So I tried playing back multiple files, all mkv format, some full untouched remux files (20GB - 34GB) and some compressed (8GB - 14GB). All had full untouched HD audio tracks. All files played back in MX Player Pro and my AVR reported the DTS-HD or Dolby TrueHD track on all of them, 5.1 and 7.1 tracks. I used dvdFab to make all of the files. MX is set to HW mode, NOT HW+. I didn't change any other settings. ES File Explorer's built in player also was able to play back these files with the HD audio track. I also tried some m2ts files but MX Player could not read the audio from them at all. I too am coming from a WDTV Live SMP and loved it, but I wanted something faster and with better streaming options. I am so far satisfied with the Shield in this regard. I don't know if someone like ViewHD makes powered HDMI splitters yet that are HDMI 2.0 capable? But if they do, that'd be a lot cheaper than buying a new AVR... you would come out of the Shield, into the splitter, and then from the splitter into both your AVR and your TV in parallel. I have had success in the past with using (much older, maybe HDMI 1.3 era) splitters from ViewHD. So I reset all my settings back to the defauls (from the Settings --> General interface), so I could start fresh. Checked "Use HW+ decoder", only so I could uncheck "HW+ decoder (local)" below it, and then after I did that, went back up and unchecked "Use HW+ decoder". HW+ video codecs - greyed out, unselectable. With those settings, I can't get playback. Just a black screen, and MX player locks up and it's difficult to get back to t he main menu any other way than hitting the "home" button. Can you take a look at these settings and compare them to your own? Last edited by psuKinger; 11-04-2015 at 05:04 AM. Apparently I was drunk or high when I tested this thing. The reviews were correct, the shield controller does not have force feedback. 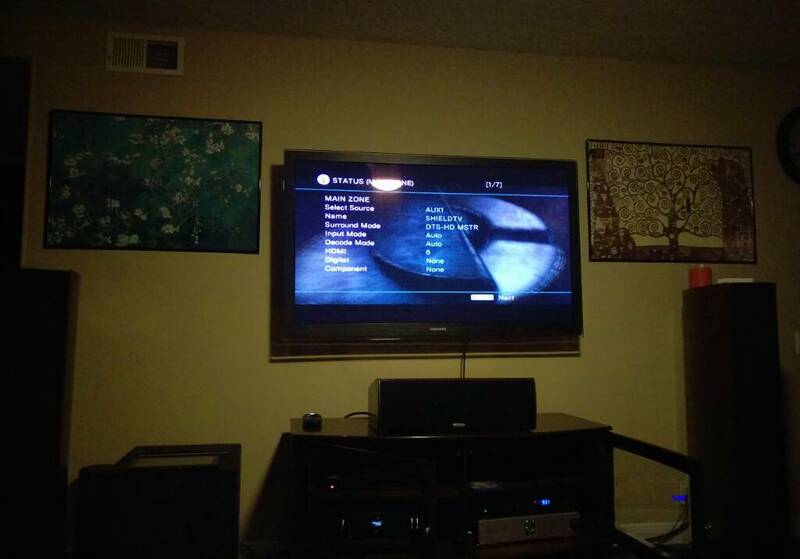 I also plugged in my Xbox 360 controller and tested it with a few games. No force feedback with any of them either. Sorry for the misinformation. Until KODI enables pass thru...and I just read on their forums it won't make it into v16, they are on feature freeze...you can have Kodi decode the TRUE HD & DTS MA tracks & send it to your AVR as multi-channel PCM. I've tested it & it works fine. On the Shield, 15.2 decodes TRUE HD & 16 Alpha builds decode DTS MA. Probably a basic question but with this method, can you play 4k videos with 5.1 audio over a network connection? What about DTS-MA HD?